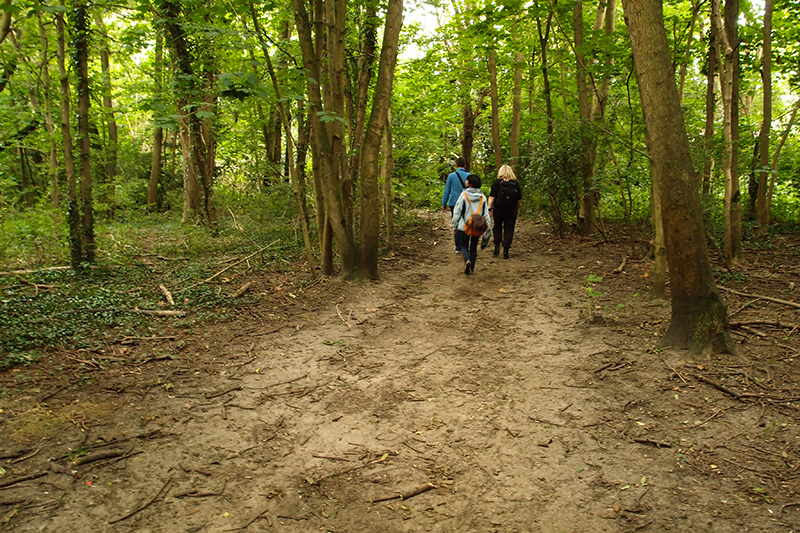 A little while ago I went to visit my pál Erika (sorry, can’t resist the terrible pun) in Surrey for blackberry picking. Her friends Stephanie and Katja came down too, and we went out on a sunny day into the woods and picked some berries and had a picnic and drinks (for N. American readers, British woods aren’t very wild). 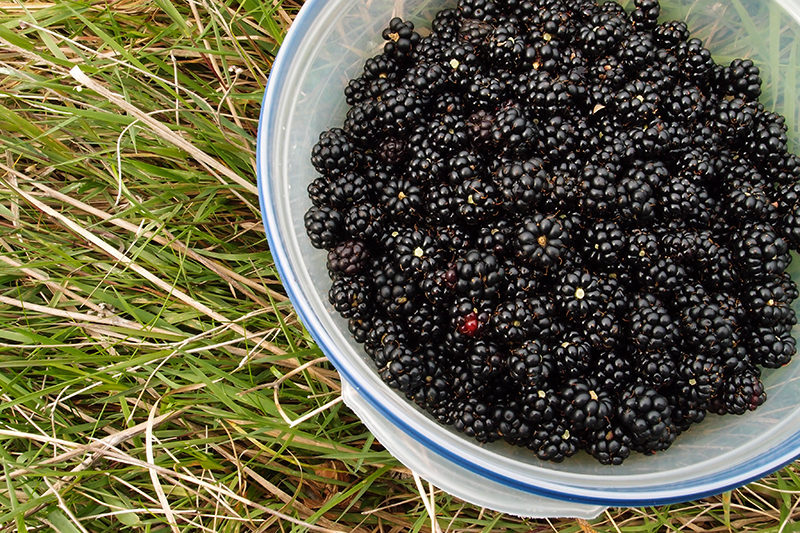 Blackberries grow everywhere here at the end of August and most of September. They don’t belong to anyone, and it’s safe and legal to pick and eat them. I used to pick huge amounts of them when I was growing up. 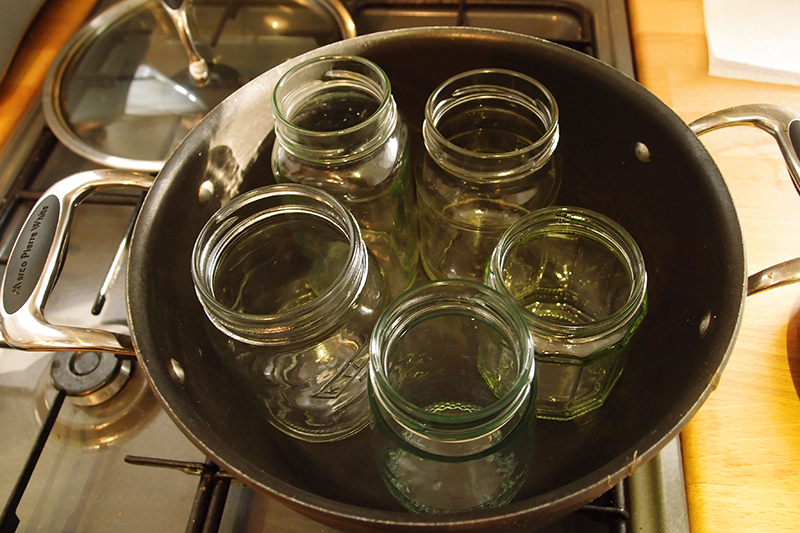 They’re also good for jam, pies, crumbles, coulis and wine-making. 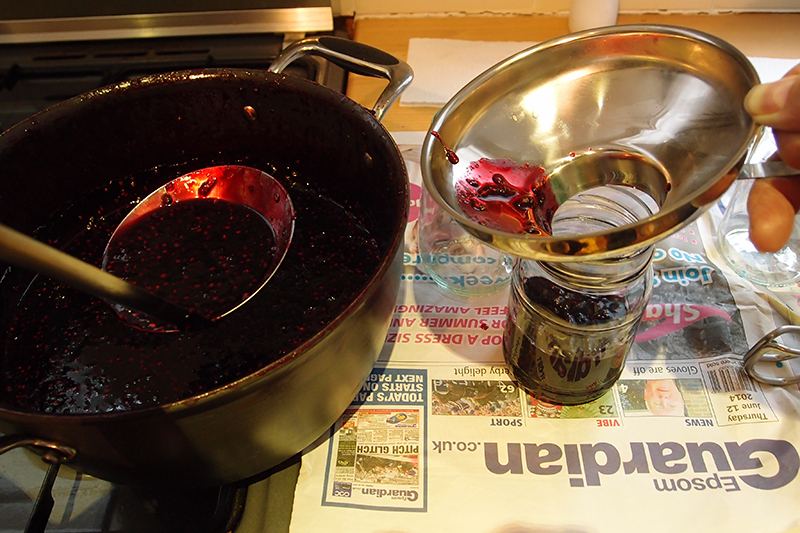 We made jam this time. Foxes also like them as much as humans. 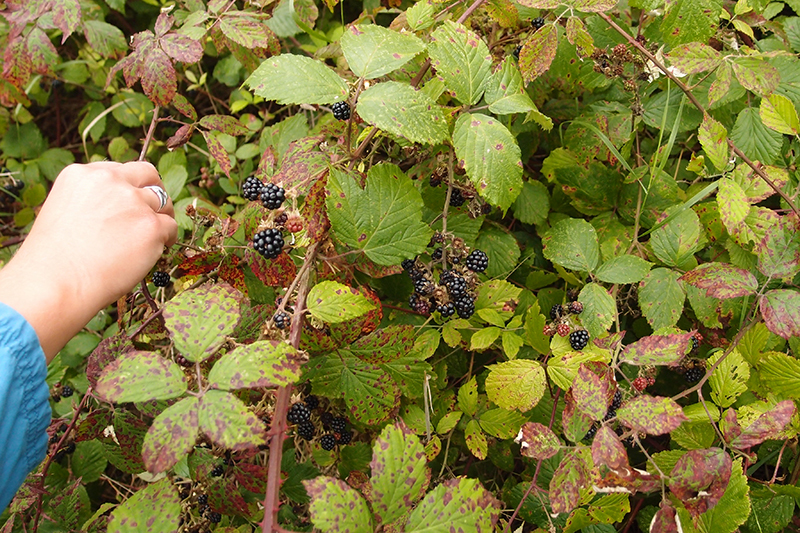 Picking the fruit from the brambles. Beware of the spikes. 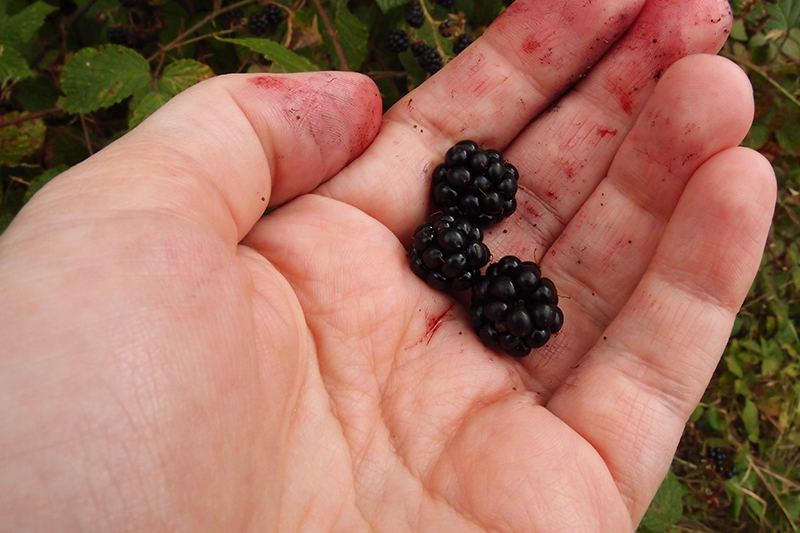 The blood of a thousand blackberries on my hands. Part of the spoils. 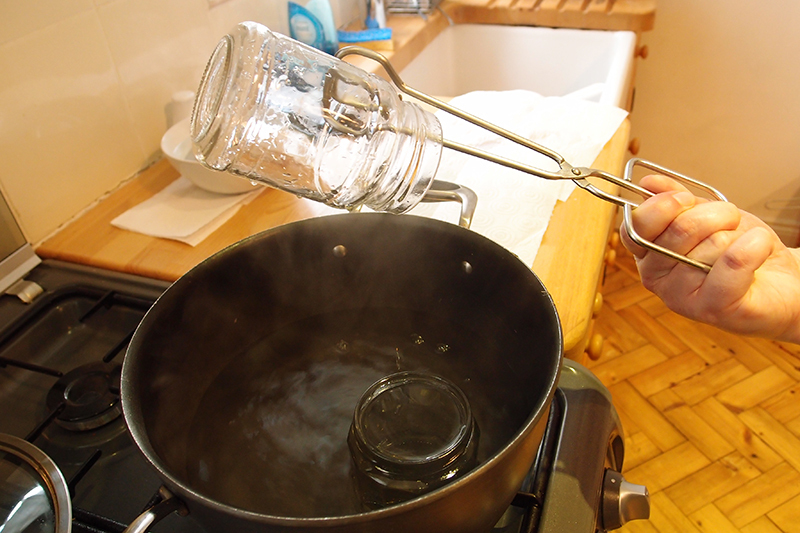 When they got home we soaked them in boiling water to remove any lurking insects. 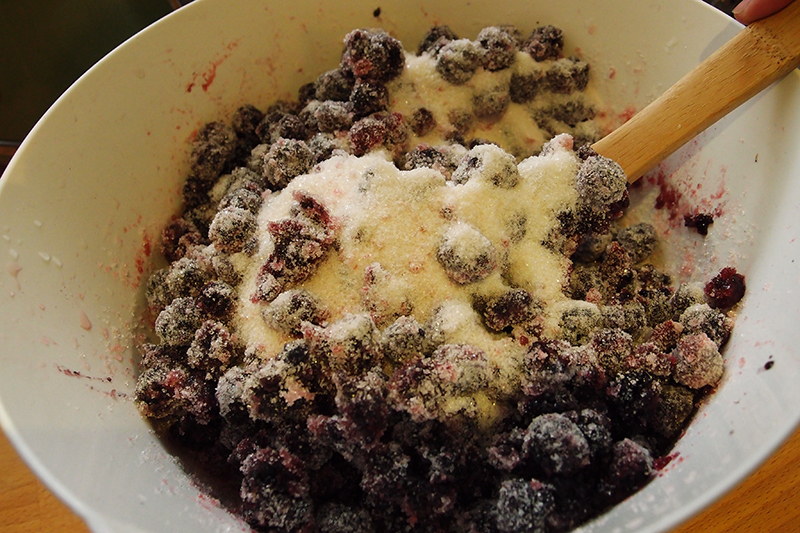 Mixing the fruit and the preserving sugar. 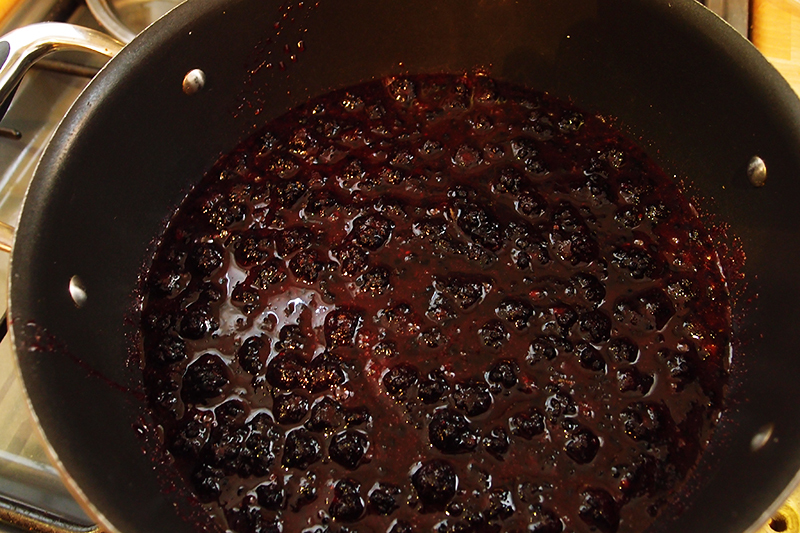 Simmering the jam while crushing the fruit. Erika’s partner makes fantastic home-made ice cream, and I totally forgot to have any while I was there. A terrible regret.